Linda Hoye is a writer, editor, adoptee, and somewhat-fanatical grandma. Her work has appeared in an assortment of publications in Canada and the US. Her memoir, Two Hearts, is the story of her journey through the abyss of deep-seated wounding to the other side where she emerged whole, healed, and thankful. Hoye currently lives in the state of Washington with her husband and their two Yorkshire terriers, but Saskatchewan, Canada will always be her heart's home. Linda Hoye was in her early twenties when she found herself parentless for the second time. Adopted at five months of age, her heritage, medical history, and access to information about who she was or where she came from was sealed. It was as if she had never existed before being adopted. When she was barely in her twenties her adoptive parents died and a pattern of loss was put into motion that would continue for years as, one by one, those she called family were torn from her life. 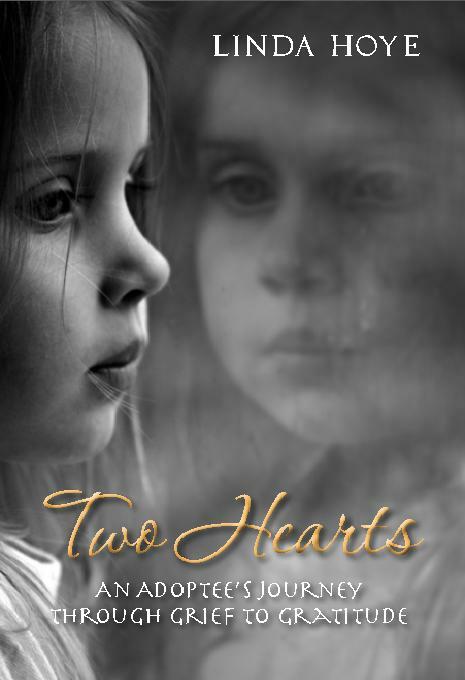 Two Hearts charts a course through a complex series of relationships stemming from the author’s adoptive family, her maternal and paternal birth families, and an abusive marriage as the author seeks the one thing she so desperately wants: family. This is the story of a woman's journey through unfathomable grief; of what it takes to go into the abyss of deep-seated wounding, to feel the pain, and to come out the other side, whole, healed, and thankful.